Zdarlight by Digitalism is a track that I find really important, Digitalism, along with Daft Punk and Moby were the people that got me into this EDM crazed obsession that I now have, and this track was played endless times on repeat a few years go. Deniz Koyu & Fedde Le Grand revamp the classic to meet the demands of the modern electronic music junkie, har hitting synths with big bass, definitely built for festival speakers. Check it out! 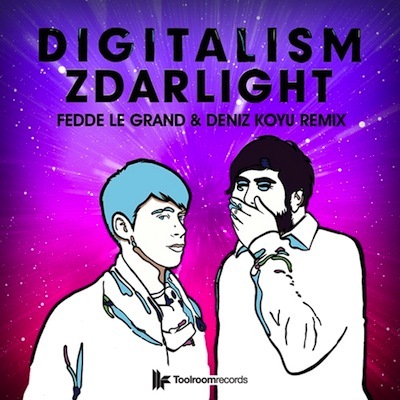 0 Respones to "RELEASE: Digitalism - Zdarlight (Fedde Le Grand & Deniz Koyu Remix) "